“Gradually, and then suddenly.” It is a phrase that can be applied to many aspects of life, and normally does a fine job of reminding us that there are forces at work behind the scenes that we are not always aware of. For Newcastle United supporters, this week has featured twists and turns that nobody could have possibly predicted. As the Magpies walked the tightrope, or red dotted line, that separates safety from relegation, an interesting “distraction” came about in the form of the FA Cup Fourth Round. Since owner Mike Ashley gained control of the club in 2007, Newcastle have never progressed past this round of the competition. Hosting Watford at St. James’ Park, there was a feeling that maybe this could be the time to break through. A disappointing approach produced elimination, and the usual January transfer frustrations seemed to be perfectly set up once again for manager Rafa Benitez. A negative air was present for the North East, a very familiar one as well. Belgian international Jordan Lukaku’s failed medical appeared to be just another brick in the wall. But then Tuesday happened. It already feels like a bit of a blur. Prior to kick-off, news began to break that longtime target Miguel Almirón was set to make a move to Tyneside. The rumoured fee is expected to break the club’s transfer record, set in 2005 when Newcastle signed forward Michael Owen from Real Madrid. At a time when others see those types of records fall quite often, this is a mark that is refreshing in a variety of ways. A reported loan deal for Monaco defender Antonio Barreca is also close, poised to make Deadline Day a bit more enjoyable for Toon fans. On top of all this, Benitez led his squad to a thrilling 2-1 victory against Premier League title-holders Manchester City. There were ultimately concerns, and those concerns were understandable. Could Ashley have just used these transfer rumours as a way of easing tensions ahead of a high-profile match? With protests planned, it is not an impossible idea. But instead, in what was a windfall of good fortune within only mere hours, positivity is the current theme for the Magpies. While one high-priced signing like Almirón is not the answer to all that ails Newcastle and does not make up for Ashley’s previous mismanagement, it is the start of what is needed in the moment and for the future. Almirón is the type of midfielder that can thrive in the current system, while Barreca provides necessary cover at the left-back position. 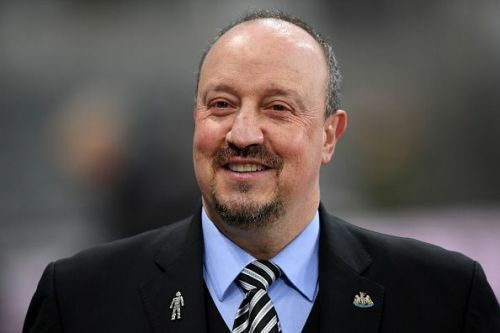 These deals may be the ones to convince Benitez to stay at Newcastle, as his contract only takes him to the end of the 2018-19 season. Time and time again, the Spanish tactician has showcased why he has the ability (if properly backed) to return the club towards the top of English football. Newcastle United are 14th in the table, five points above the drop zone. With additional talent reportedly on the way, good news may keep arriving for the fans.